Exciting events are coming up and we would love to get you involved at the Richmond Art Gallery as a volunteer. Volunteering is a fun way to learn about art and the Gallery, meet new people and contribute to your community. Without volunteers like you, the Richmond Art Gallery would not be able to do what it does — you help make it all work! If you are interested in volunteering, fill out a copy of our volunteer application form and return to the gallery. For all of the following positions a time commitment once a week or monthly is required depending on the position. The benefits include applying your skills and talents to gain knowledge within the non-profit sector. You will receive training and support to enhance your experience in a supportive environment. Build your confidence, art-knowledge and social consciousness. Commitment: various shifts of 2 – 4 hours in length. Opportunities exist for event-based volunteers that take place once every few months, or more regular programs and tours that occur on a monthly basis. Qualifications: Must be aged 18+, have an interest in the visual arts, enjoy working with the public, and have excellent customer service skills. Multilingualism is an asset. To Apply: Fill in a Public Programs Assistant application form and email to ktycholis@richmond.ca. Work with students from ages 3-13 as part of the School Art Program. Assist the School Art Program Coordinator with setting up the art classroom with art materials, leading tours, and helping students with their art projects. Applicants must submit a Criminal Records Check for working with children as part of the application process. Qualifications: Must be aged 18+, have an interest in the visual arts and working with children. Shifts occur only during school hours, 9am-3pm on weekdays from September – June. The Richmond Art Gallery Association (RAGA) is a non-profit, registered charitable society (CRA Registration no. : 107894883RR0001). We support the Richmond Art Gallery, which is owned and operated by the City of Richmond, in their mission to exhibit, collect, and educate the public about local, national and international contemporary art. The Gallery plays a dynamic role in the growth of visual art in Richmond, and is a vital part of the contemporary art network in British Columbia and Canada. 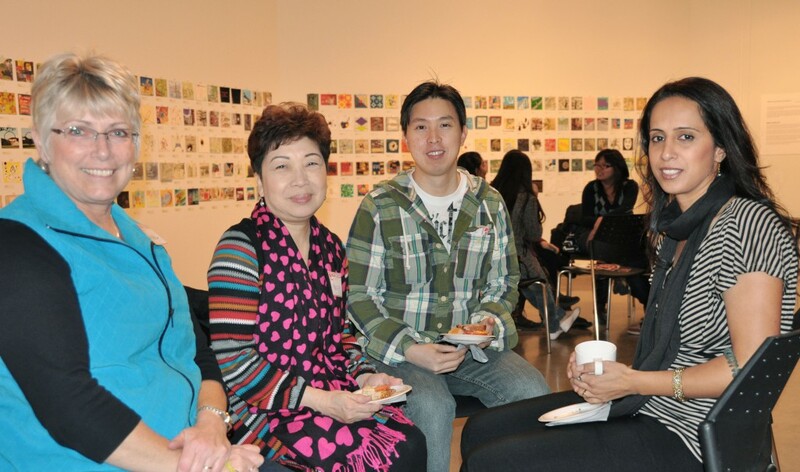 RAGA provides the Richmond community and others in the Lower Mainland with opportunities to view and learn about contemporary art and experience art-making activities, including programs for adults, families and children. RAGA works in conjunction with RAG (the Gallery) by means of contract with the City of Richmond. RAGA’s work is accomplished via fundraising and friend-raising (membership) for the Gallery. We are not the governing board of the Richmond Art Gallery, nor do we have a curatorial role. Read and respond to communication in a timely manner (generally 48 hours max). Attend the Gallery’s openings and events to represent RAGA (the Association) and to assist Gallery staff (we encourage board members to attend as many events as possible and we rotate attendance). There is committee work and individual tasks to be accomplished from month to month. We are conscientious about sharing the workload. Attend the annual general meeting. You have the opportunity to work with a collegial and cohesive group of smart and engaging individuals of all ages and backgrounds who value the importance of contemporary art and art education in our community. You become part of the RAGA/RAG family.